Guidance is compiled and interpreted by professional pilots and physicians at FlightPhysical.com from the 2014 AME Guide pages 62-63, FAA and FDA web data (www.FAA.gov & www.FDA.gov), instructions specified in the Aeronautical Information Manual, Federal Air Surgeon Bulletins from 1999-2015, and 14 CFR Part 61 and Part 67 (the FARs). b. Pupils and Iris — checked for the presence of synechiae and uveitis. Size, shape, and reaction to light will be evaluated during the ophthalmoscopic examination. The AME will check for coloboma, reaction to light, and any disparity in size. c. Aqueous — hyphema or iridocyclitis (blood or inflammation around iris). d. Lens — observed for aphakia, discoloration, dislocation, cataract, or an implanted lens. e. Vitreous — AME will note any discoloration, hyaloid artery, floaters, or strands. f. Optic nerve — observed for atrophy, hemorrhage, cupping, or papilledema. g. Retina and choroid — examined for evidence of coloboma, choroiditis, detachment of the retina, diabetic retinopathy, retinitis, retinitis pigmentosa, retinal tumor, macular or other degeneration, toxoplasmosis or other identifiable signs of ocular or systemic disease. See Glaucoma Worksheet. 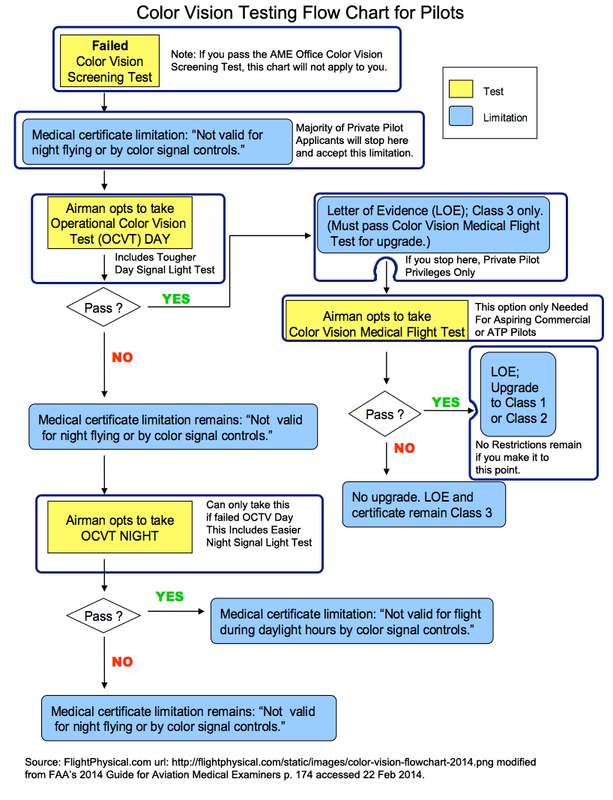 If airman meets all certification criteria – AME Authorized to Issue the Certificate. All others require FAA decision. Submit all evaluation data. This page discussed the Ophthalmoscopic portion of the Eyes & Vision section of the Fight Physical Examination required of pilots.